If there’s one thing I always love to see in novels, it’s well written characters who undergo a process of character development. 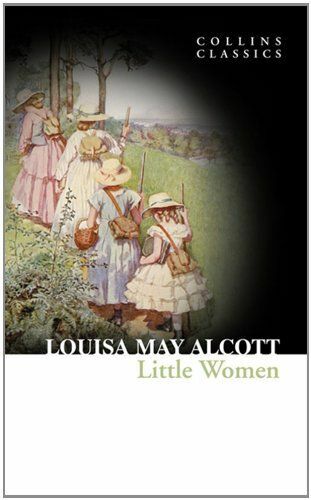 If that’s your kind of thing too, you’re going to love Little Women. To explain it in the most basic way possible, this book documents one year in the life of the March family (three sisters, Meg, Beth, Jo and Amy and their mother) their neighbour Laurie and his grandfather. During that time, their father, Mr. March is away fighting in the civil war and they have a number of very trying experiences. Each of the three girls has their own strengths and weaknesses, for example, Beth is extremely kind, but also enormously shy. Amy wants to be her best self, but ends up coming across very rigid and stuck up. They all directly face their flaws and have a chance to demonstrate their capacity for growth. As they’re all written as such likeable people, it’s really nice to see them evolve. Though the March family isn’t exactly “poor” they certainly aren’t really well off either and it’s nice to see a novel like this told from the perspective of average people. I won’t spoil the hardships that they encounter, but what’s nice is that some chapters cover the personal struggles as the girls try to fit into society, while others cover very real struggles which are the sorts of things we hope never to face. It paints a wonderfully well-rounded view on life.